Our superior butcher block cutting boards and chopping blocks can handle any large-scale cutting that your cooking requires. 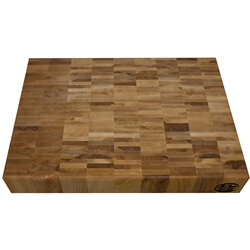 These closeout and sale products are the same quality as our famous McClure Line of cutting boards, though these products are overstocked or the styles are different in size or thickness. Crafted by hand in our Grand Rapids workshop, each piece is made by our master craftsmen using only the finest quality Michigan hard maple, walnut, cherry, or oak. Each board has a simple yet elegant style, and the premium craftsmanship ensures it will last for years to come. 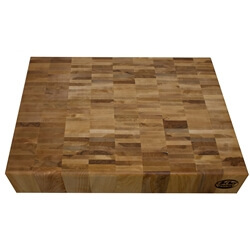 Strong enough for any job and portable enough to fit in any kitchen, our butcher block cutting boards are a wise investment for anyone with an eye for quality kitchenware. Product availability limited to quantity on hand.